≈ Kommentit pois päältä artikkelissa Tallest tree of the tropics, The Yellow Meranti. Photo credit Stephanie Law, via New Scientist. Jättikoiset Shorea-suvun puut ovat taloudellisesti arvokkaimpia tropiikin puita. Kuva: Stephanie Law, via New Scientist. 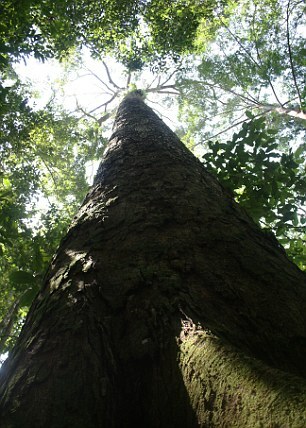 Tallest tree of the tropics, The Yellow Meranti. Photo credit: Stephanie Law, University of Cambridge.